While most motivational interviewing (MI) health coaching case studies feature adult patients, MI can be a powerful approach for promoting health behavior change in families and children. 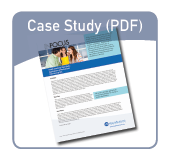 The following is a real case study submitted by LG—a primary care clinic nurse health coach in an organization that recently committed to a comprehensive motivational interviewing workforce development project with HealthSciences Institute. Working with the child, parents and family, health coaches can support changes to lifestyle that threaten health early and later in life. Better outcomes depend on the health coach building true proficiency in the complex skill-set of MI. By applying MI, and the new generation of MI approaches and tools designed specifically for health care, practitioners and organizations can achieve breakthrough results.